This piece of work analyses the German web design industry by using the strategic management tool of the five forces from Michael E. Porter. 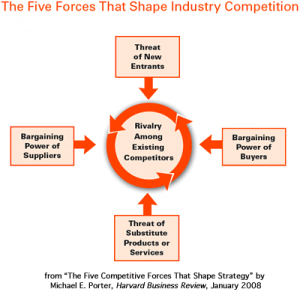 This tool identifies the key factors that could have an impact on industry competition and whether it is worth entering market or not (Porter, 1980, p.33). This work is limited to the German market because there are differences between other national markets dependent on their technological advance, demographical factors and cultural backgrounds. For instance an emerging nation like Argentina had a growth of 32 percent in the last 12 months in the e-commerce sector and the German market, as a high industrial nation had a growth of only 11 percent (Verisign, 2009). The model of Porter’s five, which is almost thirty years old, is chosen in order to prove that it is still working with a modern industry like the web design industry. 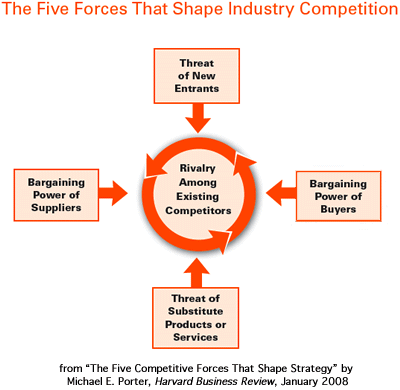 Many essential factors have changed in the last thirty years and it has to be proved if the principle “The state of competition in an industry depends on five basic competitive forces” (Porter, 1980, p.3) is still valid. This external analysis tool was created to cover a wide range of influences affecting an industry. It is used to acquire the awareness about the attractiveness for further research. Companies have to have a good knowledge about their environment but it is not the only model to make decisions.